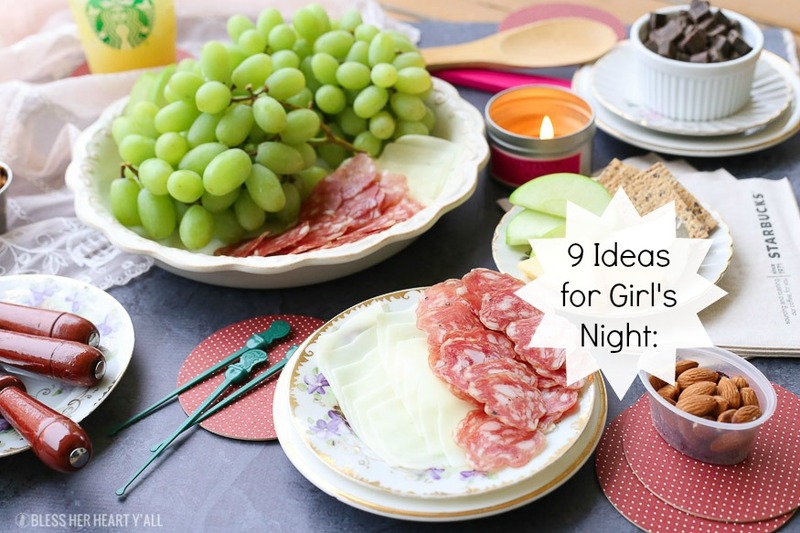 These are the 9 must have ideas and snacks for girl’s night. 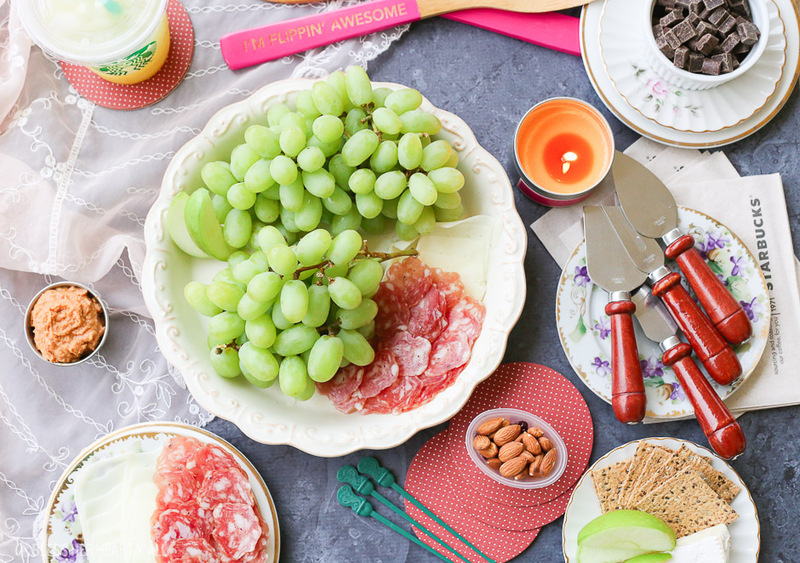 Easy hosting ideas to keep your party girly, cute, and tasty so you can enjoy all the fun too! Whether it’s a late-night study session with some classmates for that big test tomorrow or it’s your group of best girlfriends catching up and spilling all the latest gossip, there’s a reason why everyone should be grabbing their friends and having a girl’s night in. 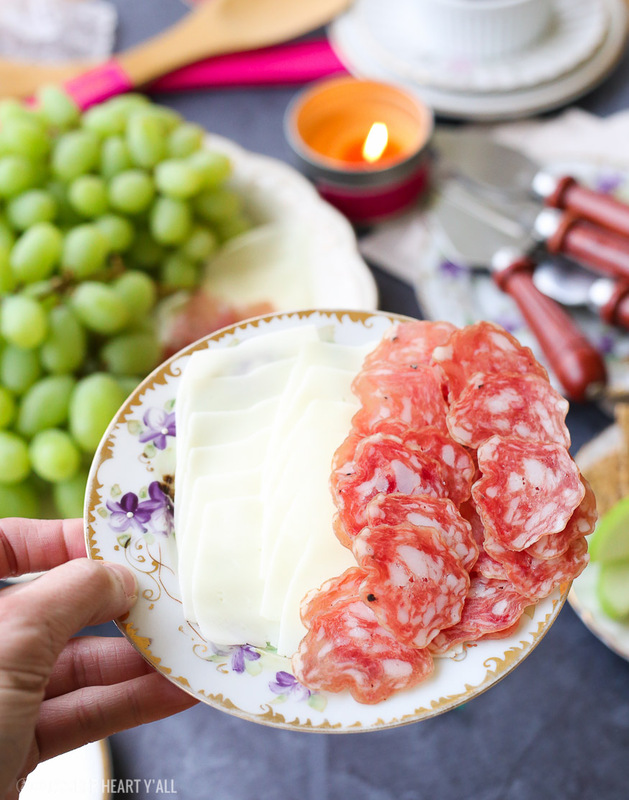 Meat and cheese tray: Let’s start with one of the most popular parts of this snacking table. Who doesn’t love a good charcuterie tray? 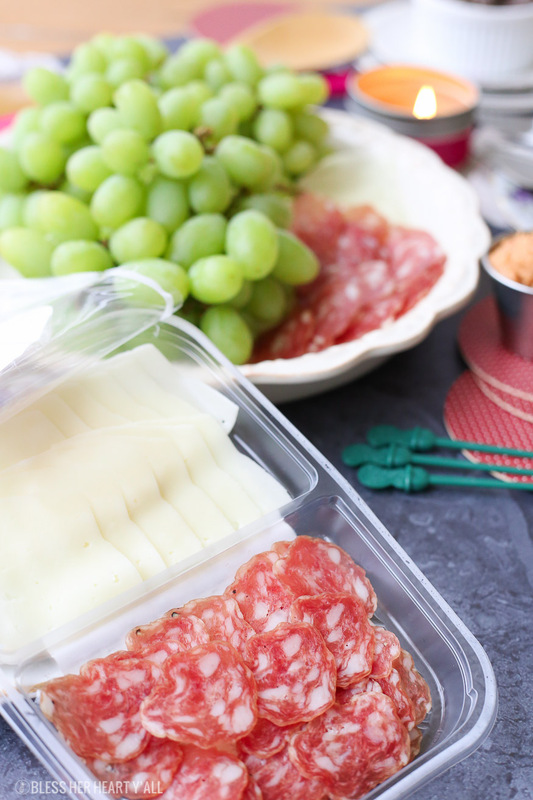 Because these are little bites of fresh sliced meats and cheeses you need to go with high quality ingredients and make every bite count. Don’t skimp here. 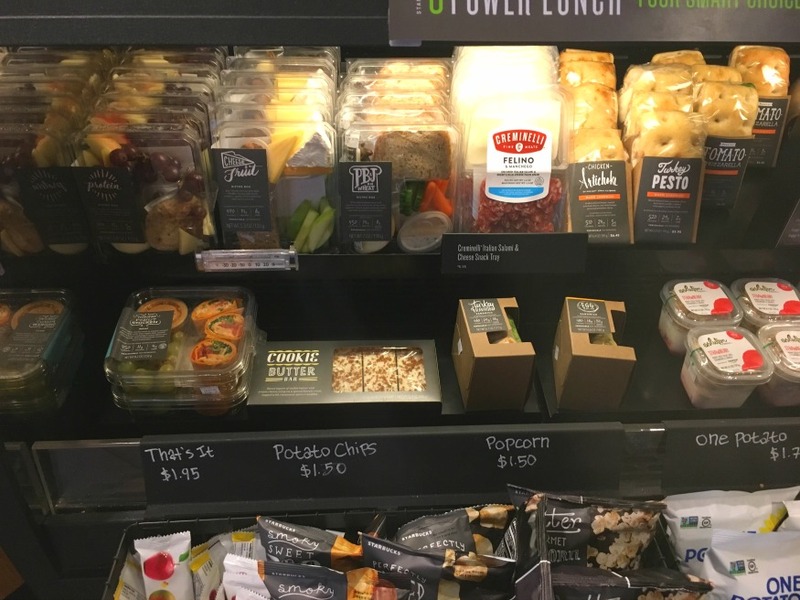 To help you save time and money and sanity, I would recommend stopping into a Starbucks and grabbing a Creminelli Fine Meats™ Snack Tray full of mild Felino salami and nutty Manchego cheese imported from Spain. Thinly sliced and packed for easy on-the-go gluten-free enjoyment. There’s no synthetic nitrates and they are made with milk without added rBST either. Comfy beverages: While you’re there, grab your favorite Starbucks drinks. Coffee, tea, or specialty drinks will go over BIG with almost any group of girls. Then when you find yourself in the middle of the party, you won’t be pouring and mixing drinks for everyone. It’s already been done for you! Fruits and veggies: For those friends who will need a serving or two of fresh fruits and veggies, pick a few that go well with the other snacks on your table spread. Grapes, apple slices, bell pepper pieces, and carrots usually go over very well together. Sauces and dips: Not everyone will want their apple slices or bell pepper slices with nothing to dip them into. How about a side dish of your favorite hummus or fruit spread? Pretty servingware: I find that the prettier or more whimsical the serving ware, the better the overall table presentation. Do you have bright pink serving spoons? What about those whimsical coasters? If they don’t match completely…. it’s okay! They don’t have to. There will be so much deliciousness on your table that no one will notice. Girly accessories: Like mismatched floral china pieces and light pink lacy tablecloths. Think floral, pastel colors, scrolls and fleur de lis. Plenty of napkins: at the ready because there is always someone who is bound to spill (usually me) all over. Candles: Set the final mood just before your girls arrive by lighting your favorite scented candles to fill the room up with amazingness as your guests walk in. Make sure the scent is not overwhelming or clash with the foods on the table, which can be a big turnoff to some. What other items should be on this list of snacks for girl’s night? 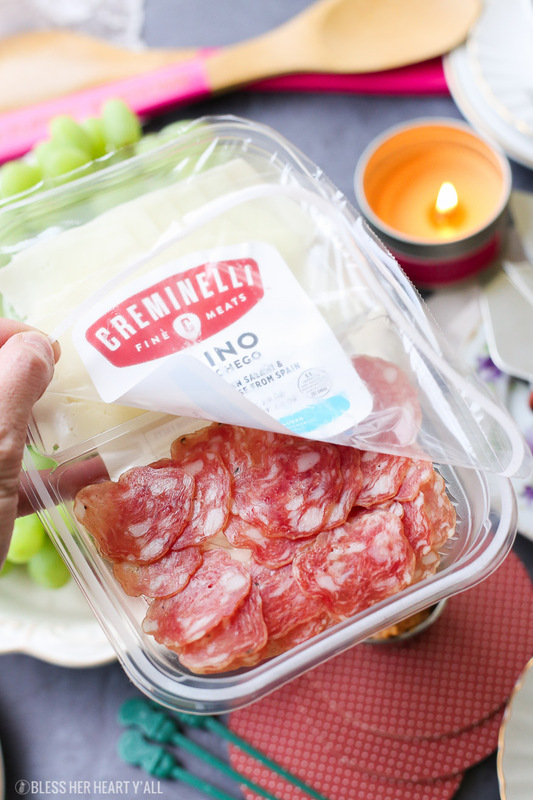 If your girl’s night table is looking for hints of nutmeg and pepper in a mild Felino and sheep’s milk cheese from Spain then I’d definitely recommend stopping at Starbucks for your Creminelli Felino & Manchego Sliced Charcuterie Tray and drinks before your party. Keep it easy, eat great snacks, and party on. I partnered with Creminelli, a brand I personally recommend to friends and family for this post. Thank you for continuing to support me, BHHY, and the brands that help make this site possible.